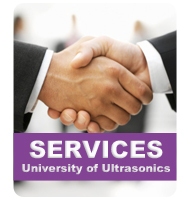 Thank you for your interest in the University of Ultrasonics, we appreciate your visit to our website. 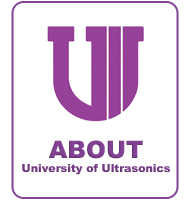 At the UofUT, we specialize in advanced ultrasonics, which include conventional ultrasonics (UT), phased array ultrasonics (PAUT), and time of flight diffraction (TOFD). Our services include an array of NDT training courses, NDT program development and procedure development, procedure qualifications (PDQ®), examiner qualifications (EQ®), and general consulting in the NDT field. 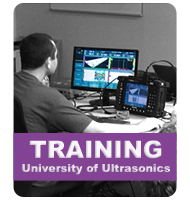 If you have the desire as an individual or company to advance in the NDT field we can help. 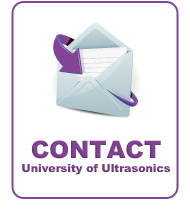 Our specialists have a broad range of expertise in industries such as pressure vessels, piping, structural, aerospace and more, as well as a vast amount of in the trenches experience which correlates to an understanding of your NDT needs. Our excellent classroom training, hands-on approach, and personal drive to get you prepared make us stand out from the rest. As we say in class, we prepare you for the Real World by “Teaching from the Trenches”. 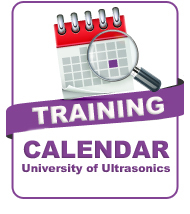 The University of Ultrasonics – Take your NDT Career to the next level.